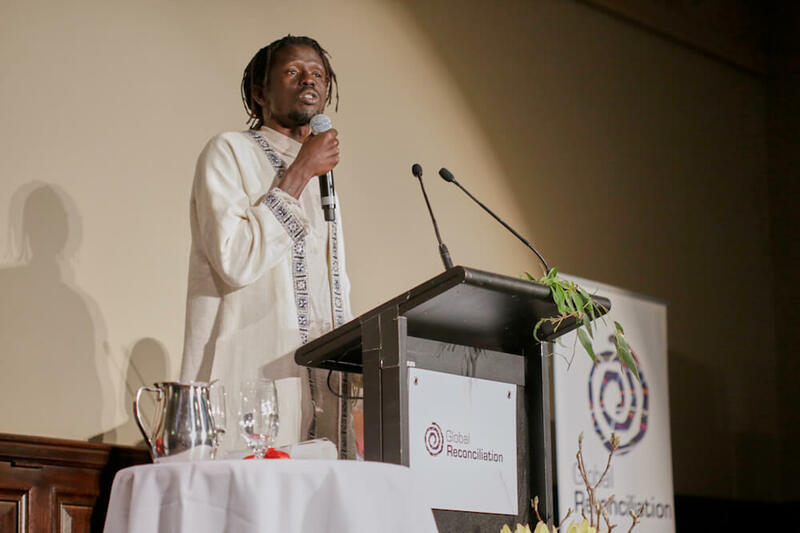 Emmanuel Jal at Desmond Tutu Reconciliation Fellowship award, Melbourne Town Hall, 24 August 2017. 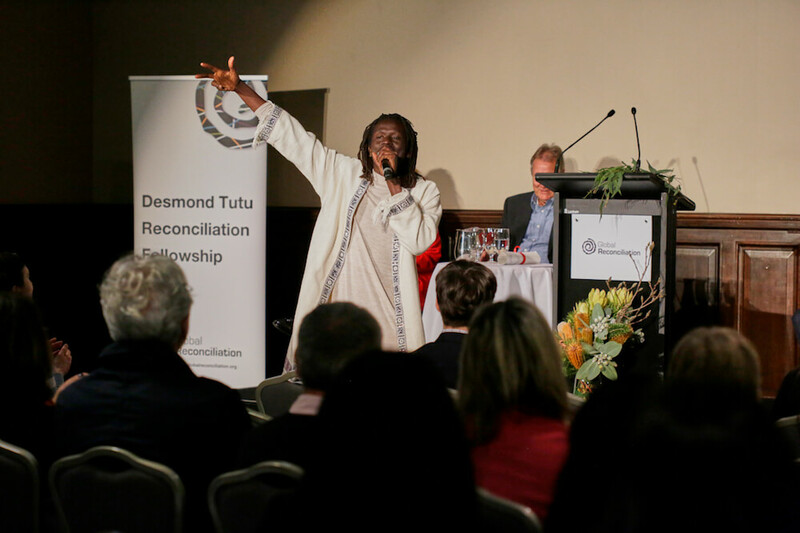 Emmanuel Jal’s moving acceptance speech at the 2017 Desmond Tutu Reconciliation Fellowship presentation brought the crowd to its feet. 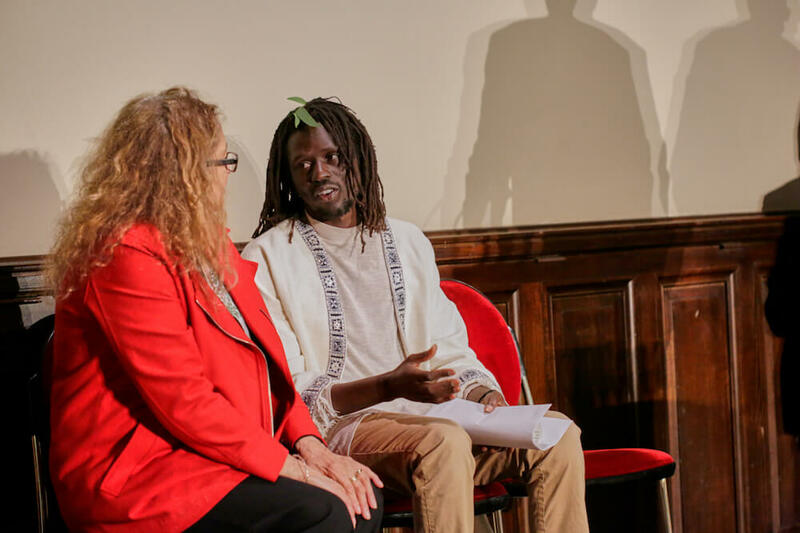 Paris Aristotle AO, a tireless advocate for asylum seekers and refugees in Australia, presented Emmanuel with the award at the Melbourne Town Hall on 24 August for his extraordinary work in reconciliation around the world as a displaced person from South Sudan. 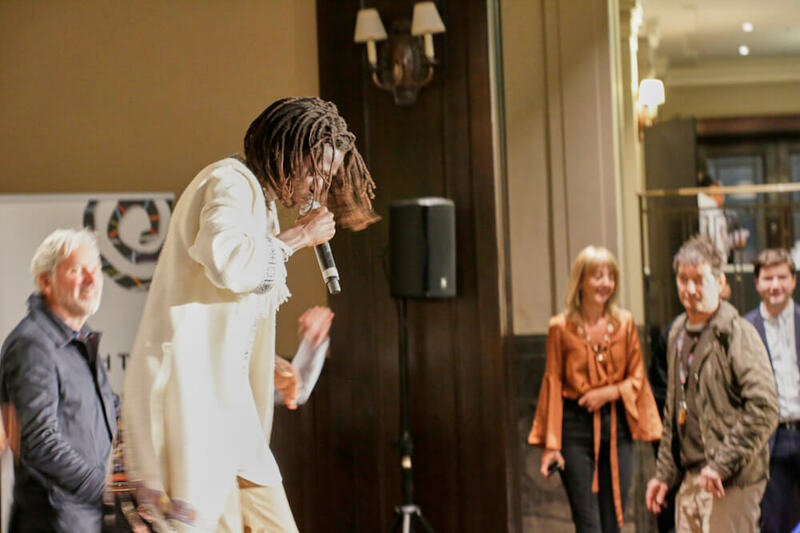 During the ceremony, Emmanuel treated us to a special acapella performance of his hit single My Power, which is about the power all people have to make the world a better place. 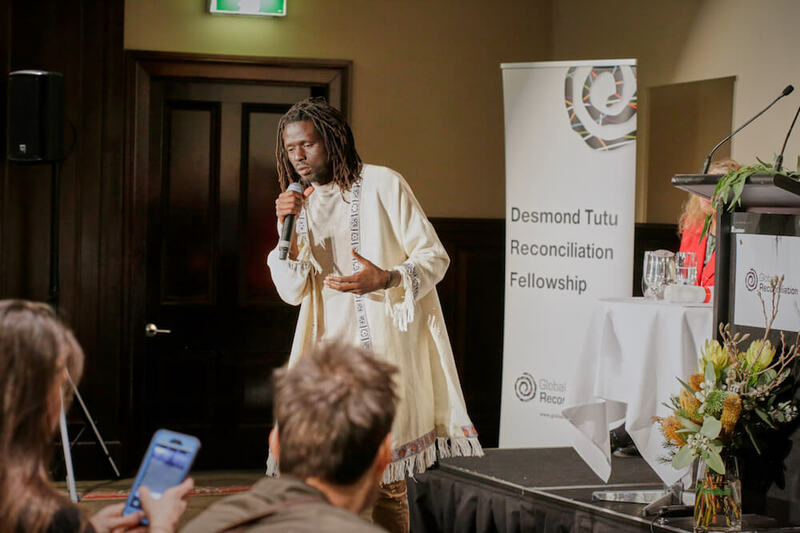 I am really encouraged by the Desmond Tutu Global Reconciliation Fellowship award issued by Global Reconciliation. I was caught off guard. I was not expecting this to happen. I don’t even have words to describe how grateful I am about it. 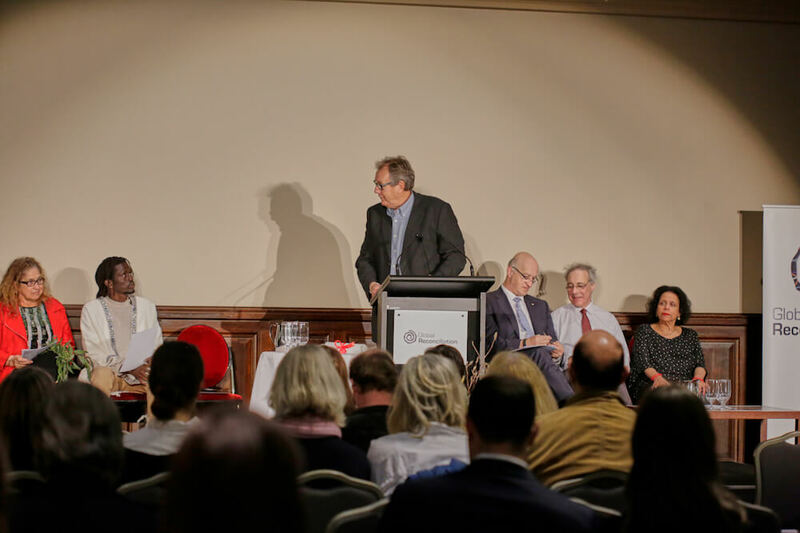 Desmond Tutu is an African leader who has kept hope alive for all – a representative of God on the planet. 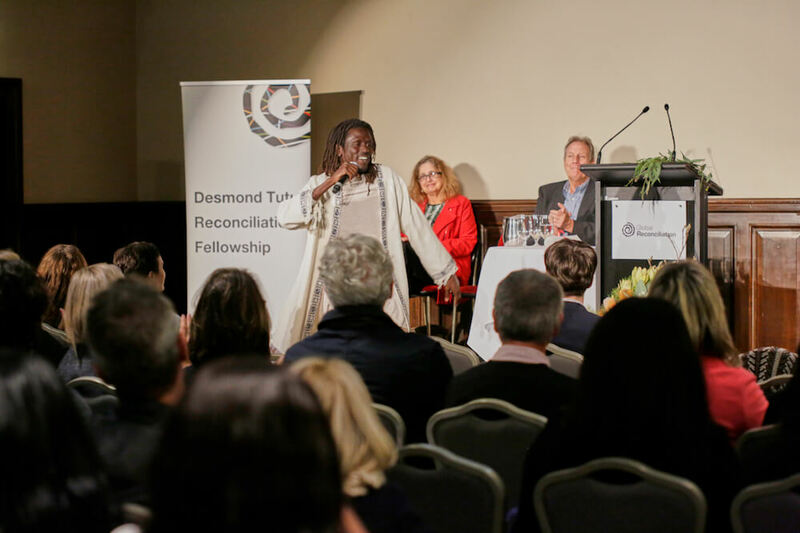 I had the fortune of meeting Desmond Tutu once but I never knew that I could be honoured by his name, he is one of the people that continues to influence my thinking and actions on planet Earth. 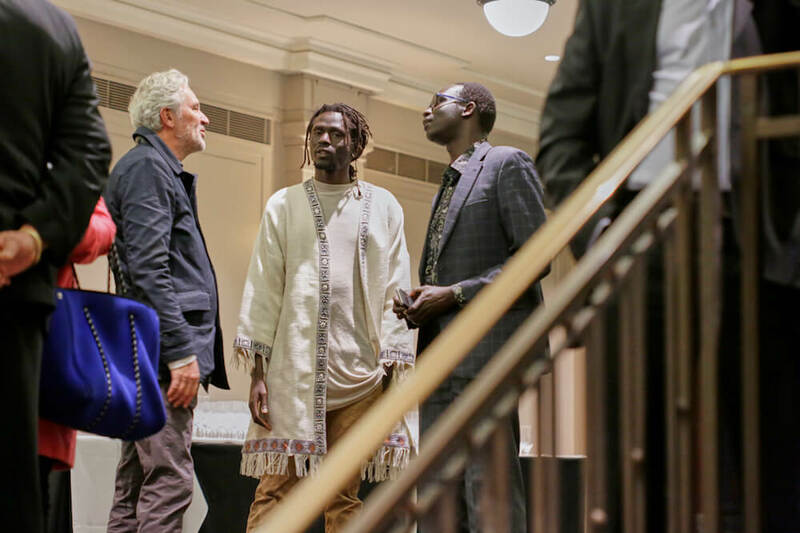 I want to mention a few people that where instrumental in this Journey: Clinton A Outten; Kemi Davies; Angelica Fuentes; Peter Gabriel; Igniting Change; Jane Tewson; Virgin Unite; my manager Tania Campbell Golding; Dr Riek Machar for encouraging me to continue on this path; my brothers and sisters for their continued support; all peace soldiers on social media who have been spreading and sharing my messages across the globe. It’s an honour to be trusted with such a noble award. This award is a catalyst to propel me to continue to share my experiences for social-emotional learning to create conscious global awakening. I believe that every person has a story, I believe if we share our experiences for social-emotional learning we are able to grow and awaken ourselves to higher consciousness and I believe stories can be used to build or burn bridges. I believe in justice, equality and freedom for all, I believe peace is possible and peace is when conflicts are managed in a mature manner that the violence is prevented, peace is education, peace is health, peace is love for one another; I believe peace is made possible through the path of reconciliation. Reconciliation to me is being able to co-exist with each other without necessarily loving one another. In my understanding, everyone has dreams, hopes, aspirations, worries, fears, doubts, needs, wants and desires. If we are able to consider each other’s needs, there will be peace. The work I am doing is made possible by first reconciling with myself - taking the journey inside myself to get internal peace. Who owns your mind? Is it fear, worry, poverty, death, your boss, cupcakes, Nike etc.? The battles are fought in the mind and won in the heart. Whatever owns your mind owns you and everything you create. The greatest battle I fought and I am proud of was about liberating my heart from bitterness so I can become better. For bitterness is like swallowing a poison and wishing the other person to die – that’s an African proverb. In my understanding, when you don’t forgive it’s accepting to be a slave to the person who has caused you harm. You carry the person inside you everywhere you and it affects your daily life. The 2nd battle I fought was uniting my heart and mind so they can work together. A human body is like a kingdom and any kingdom that is not united shall be destroyed. The 3rd battle I fought and conquered was my trauma. Trauma is a mental genocide, it’s soul murder, it’s an invasion of demons in your mind that occupy space and you are left lonely, exhausted, defeated, tormented and your view of the world is different from the norm. Winning this battle made me taste peace and a sense of purpose. 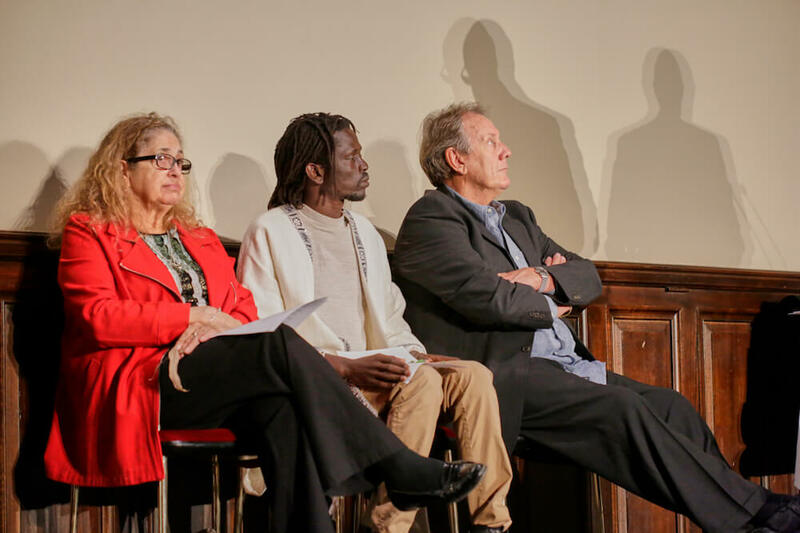 The 4th battle I fought and I am proud to announce was fighting poverty out of my mind. 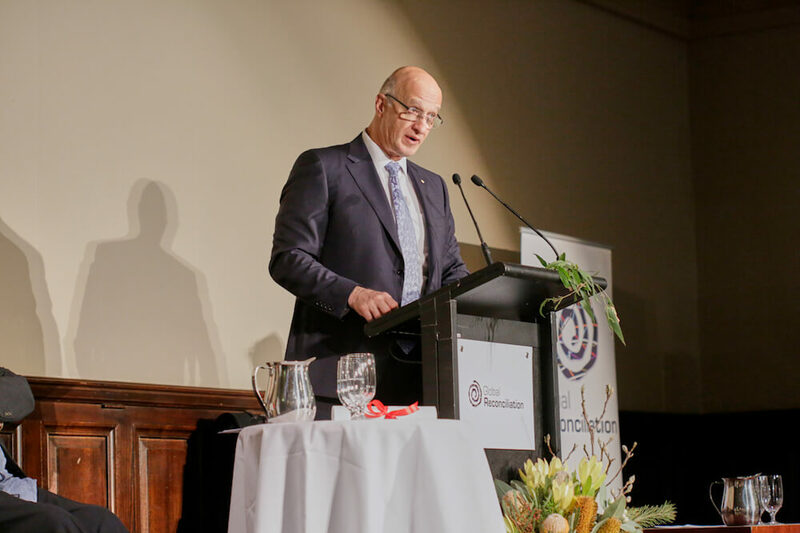 This battle restored my confidence, dignity and ability to see endless opportunities. I can now confess I am not a poor man mentally. This is my conscious awakening and discovery of self by defining who I am. 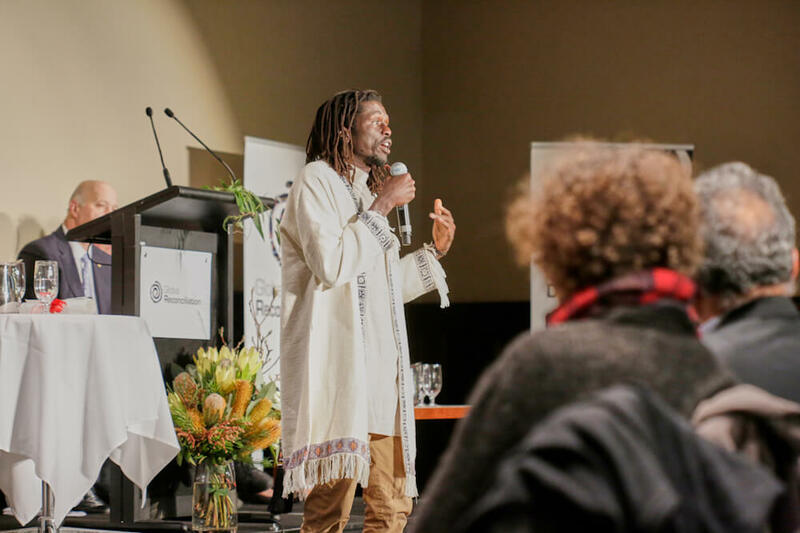 I am here to share my experiences for social-emotional learning to create conscious global awakening through the arts, business and philanthropy. The 5th battle I am currently fighting now (of which I am on the winning side) is the ability to engage my mind to do what I want. It’s the ability to engage my mind to think and solve complex problems. 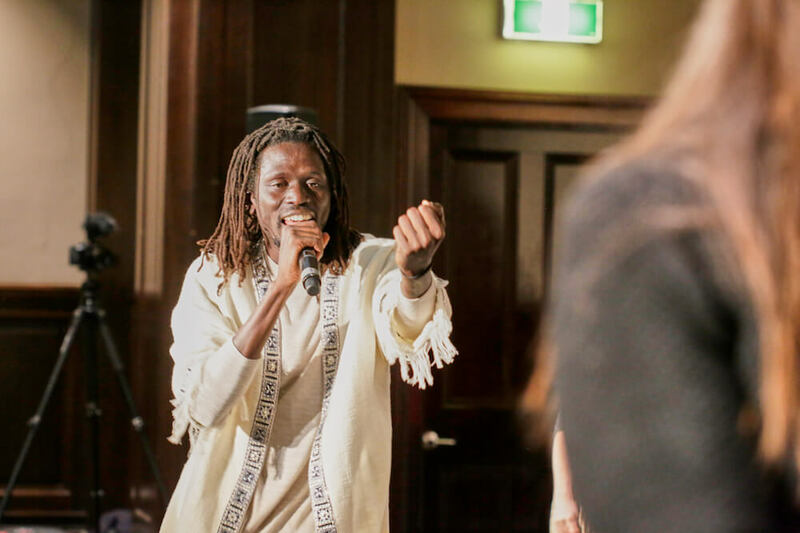 The exercise of this is the We Want Peace campaign I started, Jal Gua and Jal Gua café, Gatwitch records, Gua Africa, becoming a recording artist, a motivational speaker, a life coach, entertainer etc. – all just exercises of my mind and brain accompanied by a purpose. As I conclude, let’s all take a journey inside ourselves, to seek peace, love, patience, understanding, wisdom, purpose, knowledge and all the spiritual blessings. Once we can restore peace inside ourselves our actions outside would be peaceful too. 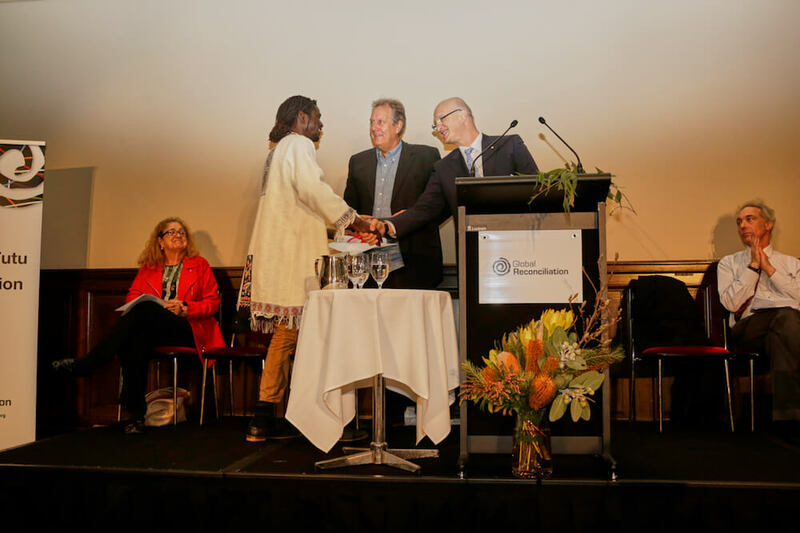 We will put the grant of funds that comes with this award it towards the Want Peace movement to support the Be the Love campaign that we are embarking on. Be the Love is a campaign to get people to be the change, to be the love, to be the light, to be the joy, to be the peace and be the solution.